I have been waiting for The Shack to get on Netflix for a long time, and a while back I suddenly realized that it had arrived. It took a while, but if you have to wait for something for a long time, the joy when it actually comes just gets bigger! I have read The Shack, a book written by Paul Young, and because of this book I ended up reading his later books named Crossroads and Eve. These are both novels in the same way, only with one difference – they are much harder to grasp than The Shack. The book was amazing, and it gave an incredible insight into subjects very hard to understand, like how can a good God allow bad things to happen if he really is in control and loves the people who then has to suffer? The core of the story is a father who loses his youngest daughter during a camping trip. She is killed, and her body was later discovered in a shack up in the forest. The father has lost all joy in his life and it is all a big mess following this event (which can be understood easily). But, then one day he receives a note in his mailbox, and the author invites him to return back to the shack. What is this? A joke? Maybe the murderer himself has invited him back? This is the core of the story, and it is from here it starts to get really interesting. Is The Shack worth watching? If you watch a movie after reading the book, it kinds of works as a spoiler-killer, after all, you know everything that is about to happen. But, it was still quite amazing to see the story unfold in front of your eyes on the TV-screen. If you haven’t read the book, this is a movie I can warmly recommend. It is worth watching for everyone, not only for Christians! It touches topics such as abuse, love, war, judgment, and hope – something all of us are in need of knowing more about. If you believe in God or not, this is a movie that will give you something to think about, and I believe it will encourage you to move on in life and maybe get loose from some evil wound that makes you live in the past. The Shack only has a 20% score on Rotten Tomatoes, but that is probably due to the people complaining about how it is “Christian propaganda.” I wouldn’t call it that, even though it has a lot of deep theological questions included in the story. I believe that this is more about life in itself, and it is trying to explain some of the hardest questions in life seen from a world-perspective in which there is a loving and caring God. The movie has a 6,2/10 score at IMDb, which is way better than the 20% score on Rotten Tomatoes. But, it should be mentioned that the 20% score on Rotten Tomatoes is the critics score. If you look at the audience score it will tell you a totally different story. How come? The audience score of the movie is 77%, meaning that the general viewer truly appreciated the movie. Now I am curious to hear your thoughts about The Shack. I really enjoyed the movie and found it to be both inspiring and challenging. What do you think? Did you enjoy The Shack? If you want to watch The Shack online, you can watch it in several different Netflix regions, for example on Netflix in the UK! Are you wondering which VPN you should use if you want to access content in another Netflix region? Or maybe you just want to stay safe and encrypted online while watching The Shack on Netflix using an open WiFi network in a hotel or a Starbucks somewhere? You can read more about the best VPN services for Netflix right here. Thank you for reading this article. Do not forget to return soon to this page, because I will write an article about another amazing movie soon, I Can Only Imagine. I watched it on Hulu recently, and I cried my eyes out watching it. What a story, what a movie, and also – what a song! Return later for a I Can Only Imagine review! A Textmaster.com review based on personal experience! 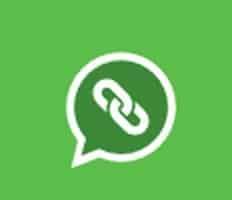 How to get a share button for WhatsApp?